TouchCopy is a powerful iPhone, iPod Touch and iPad File Manager allowing you to copy files to and from an Apple iPod Touch, iPhone or iPad – turning these devices into external hard drives. TouchCopy effectively enables disk mode on your iPod Touch, iPhone or iPad and replaces the need for the “Enable Disk Use” check box missing from iTunes for these devices. To turn your iOS device into an external drive, simply connect it to your computer and click on the “Files” button in TouchCopy. 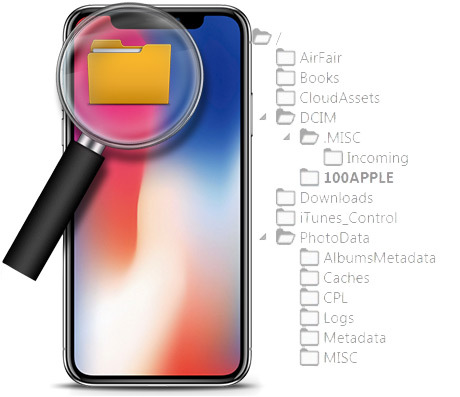 TouchCopy enables you to browse around your iOS device file system. You can also add or delete files or folders to and from your device as you would with any other USB flash drive. 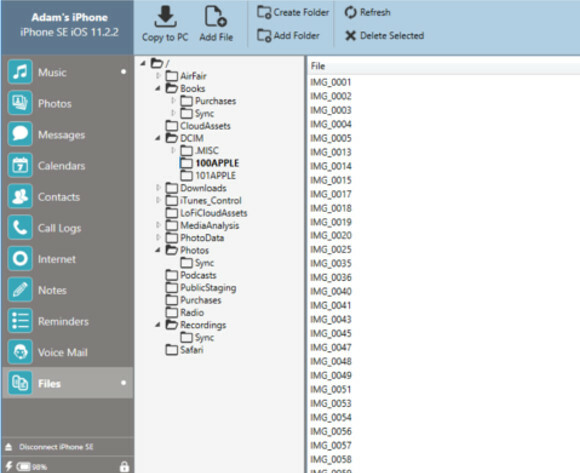 See more information on TouchCopy's iPhone File Manager functionality. TouchCopy’s Files functionality is just one of the rich TouchCopy feature set. This versatile utility can also make your life easier in many other ways, by enabling you to copy your iOS device music and playlists, photos and videos, Contacts, iPhone SMS and more.